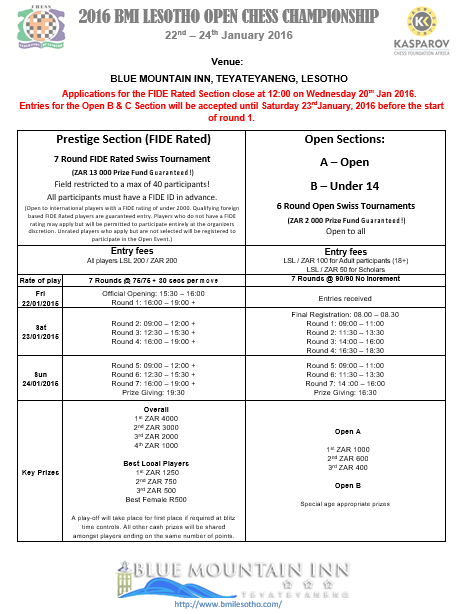 The 2016 BMI Lesotho Open has been postponed by a week and will now take place from 22 - 24 January 2016. 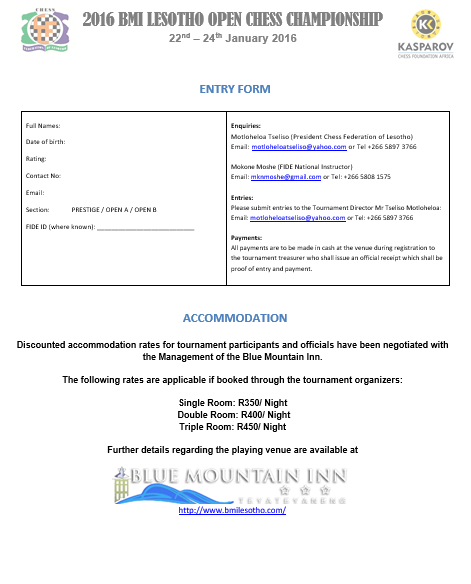 All other details remain unchanged as per the updated tournament brochure which is available below. There are already 41 players registered to participate in what is shaping up to be a great tournament in the mountain kingdom. 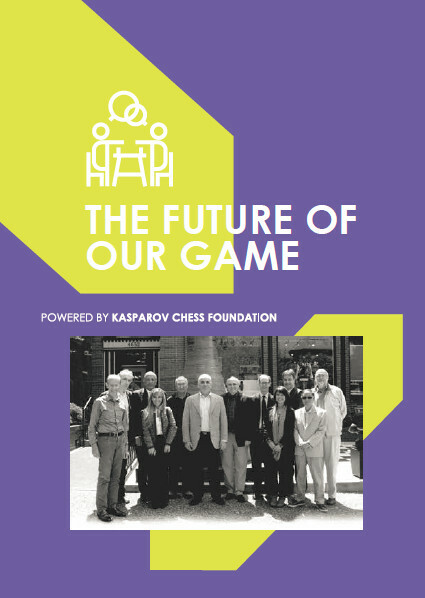 The latest players list is available at http://www.chess-results.com/tnr202904.aspx?lan=1. at +266 5897 3766 or via email at motloheloatseliso@yahoo.com.